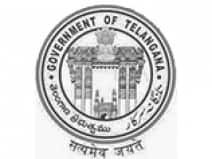 The State Board of Telangana or Telangana Board is divided into two sections. The Telangana Board of Secondary Education conducts the SSC exams and the Telangana Board of Intermediate Education conducts the Intermediate exams, i.e. 11th and 12th. Telangana Board Result 2019 is likely to be announced in the month of April and May. In 2018, the Telangana Board Result for Class 10 students was declared on 27 April. The overall pass percentage was 83.78 percent. On a similar line to the TS Intermediate Result was declared on 13 April. The board announced results for 1st Year Inter and 2nd Year Inter students on the same day. The pass percentage of the 1st year students was around 62.35. While the 2nd year passing percentage was 67.06%. Girls had performed better than boys in the intermediate examinations. Last Year 4.98 lakh candidates who appeared for the second year exam, 2.88 lakh cleared it. Similarly, of the 4.55 lakh candidates who appeared for the first year exam, 2.84 lakh cleared it. This year Telangana Board Result 2019 will be declared on time. The Telangana Inter Results including the Telangana Board 12th Result 2019 for 2nd Year Intermediate students will be declared in the second week of April, while the Telangana SSC Results for Class 10 students will come out later in the month in the last week of April. Students can check the results of the 10th, 12th Board Examination on www.livehindustan.com. Apart from this, the results can be checked on the official website of the Board.